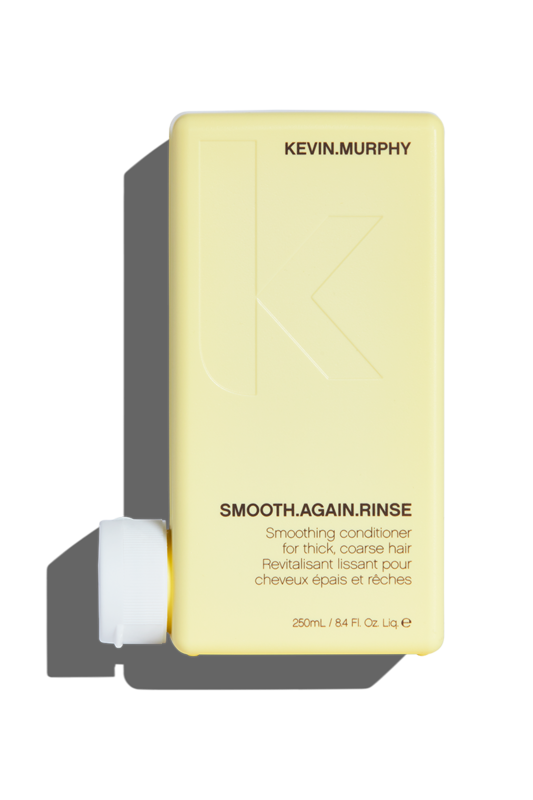 Smoothly does it – thanks to our targeted smoothing and refining conditioner SMOOTH.AGAIN.RINSE. 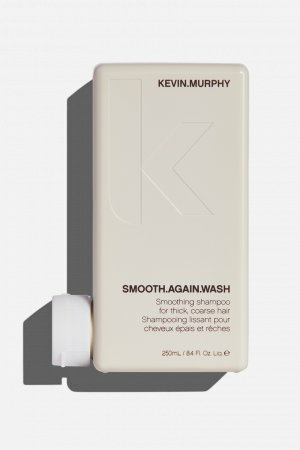 Created to nourish and smooth thick, coarse hair using ion-based cationic technology, Keratin Proteins mimic the structure of hair’s natural proteins to seamlessly smooth and refine where needed the most. 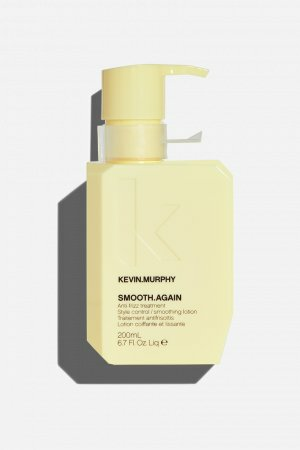 This hardworking smoothing conditioner also provides a layer of protection to help seal split ends, and reduces the appearance of frizz. APPLY. ABSORB. RINSE. Apply to freshly washed hair and allow the hair to absorb the benefits for 1-2 minutes, follow with a refreshing rinse. For optimal results, use after washing with SMOOTH.AGAIN.WASH, and as part of our SMOOTH regimen. Biomimetic Keratin Protein delivers targeted damage repair leaving the hair looking and feeling restored and with added shine. Theobroma Cacao (Cocoa) Seed Butter helps improve hair’s overall flexibility while adding essential moisture and softness. Bertholletia Excelsa Seed (Brazil Nut) Oil known to be rich in omega fatty acids, this nourishing oil helps fight frizz, and may tame unruly curls, while helping to reduce breakage. Used together as part of our SMOOTH regimen, SMOOTH.AGAIN.WASH, RINSE and SMOOTH.AGAIN are essential tools in the fight against frizz. 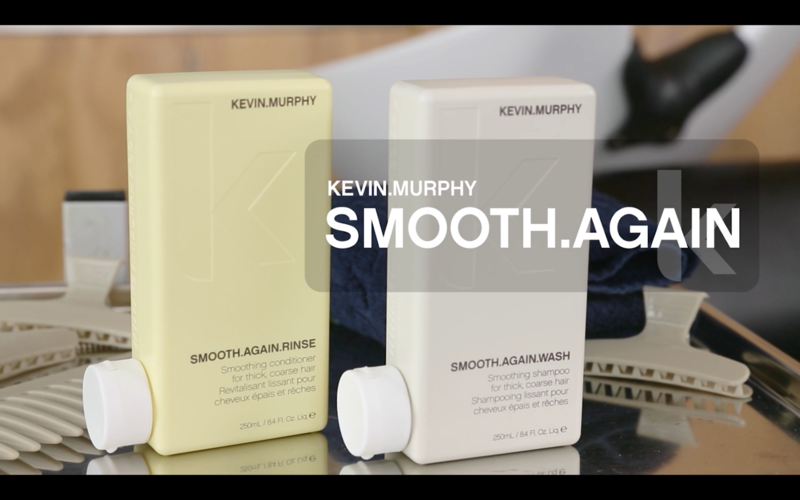 Thick, coarse and frizzy hair will benefit from SMOOTH.AGAIN’s nourishing ingredients.